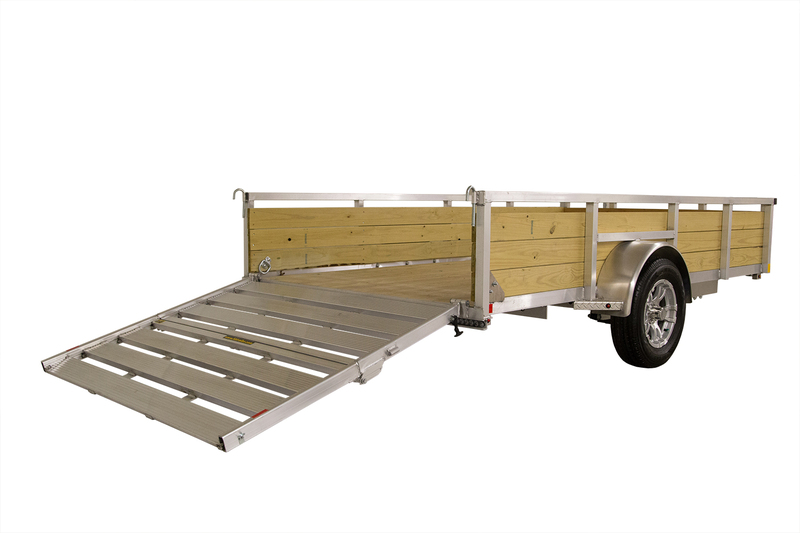 The Aluminum Wood Side trailer is an economical trailer combining a low maintenance aluminum frame with the strength and durability of treated wood deck and sides. Heavy duty, frame mounted d-rings are standard equipment on this model. 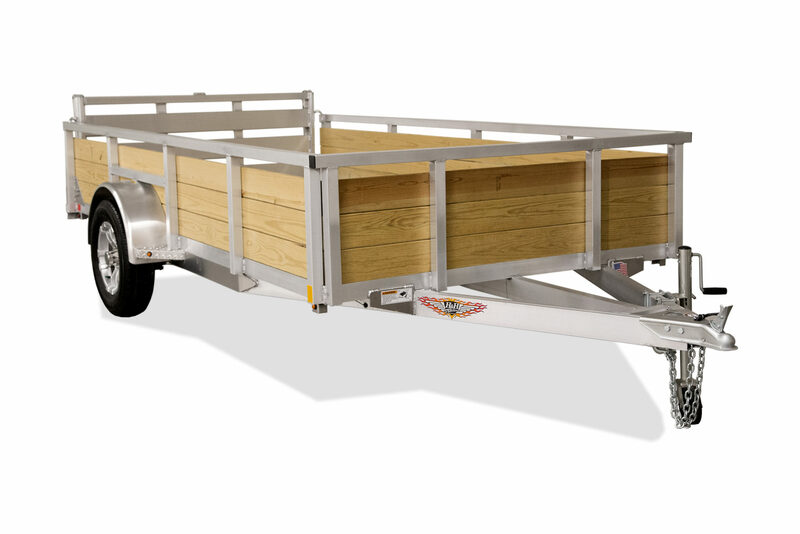 The Wood Side is great for hauling leaves, brush, mulch and more. 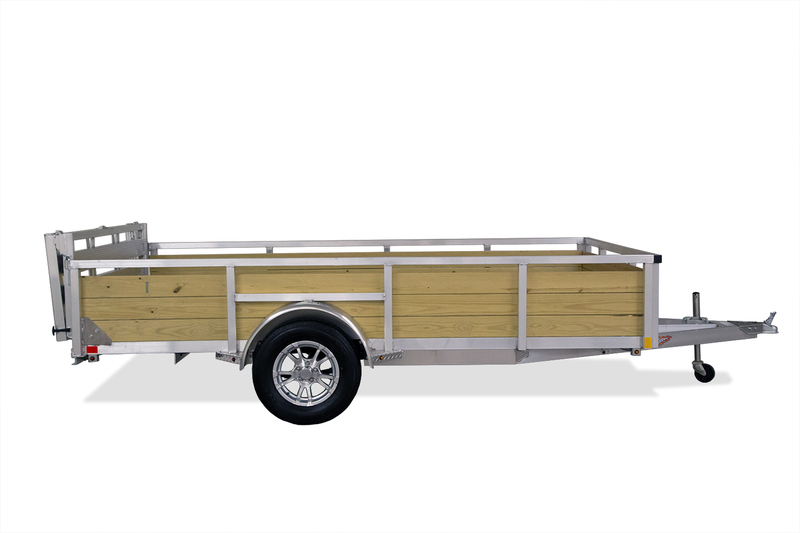 It makes this trailer very popular with homeowners and professionals alike. 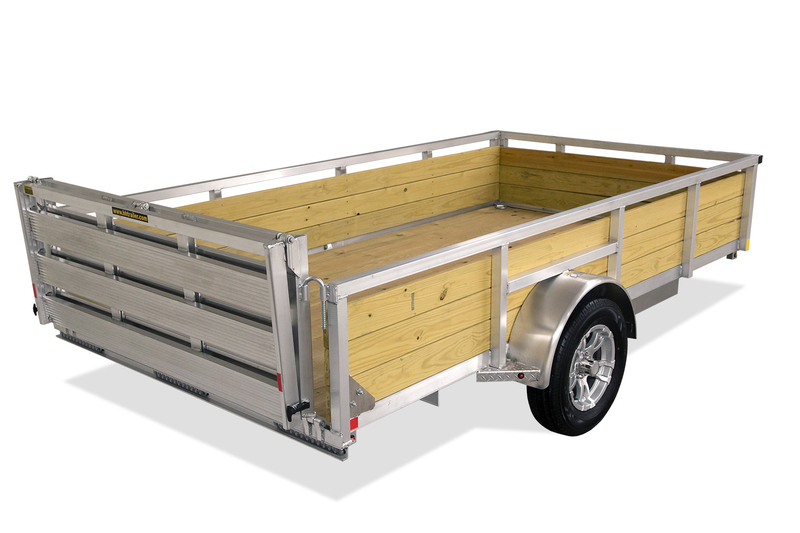 60" x 8' 42 1/2"
60" x 10' 42 1/2"
66" x 10' 84 1/4"
66" x 12' 84 1/4"
60" x 8' 18 1/2"
60" x 10' 18 1/2"
66" x 10' 18 1/2"
66" x 12' 18 1/2"
76" x 10' 18 1/2"
76" x 12' 18 1/2"
82" x 12' 18 1/2"
82" x 14' 18 1/2"